Premium TV network EPIX® and the NHL®, partnering for a third season, today announced that EPIX Presents Road To the NHL Outdoor Classics will make its U.S. Television Premiere on Friday, Dec. 16 at 10pm ET/PT, 9C on EPIX with four weekly episodes. This season, the series tells the stories of the athletes and coaches from four teams and their journey to two games played on outdoor rinks. In commemoration of the League’s Centennial Celebration, the Detroit Red Wings and Toronto Maple Leafs will compete in the 2017 Scotiabank NHL Centennial Classic™ on New Year’s Day in Toronto, Canada. The Chicago Blackhawks and St. Louis Blues meet in the 2017 Bridgestone NHL Winter Classic® on January 2, in St. Louis. 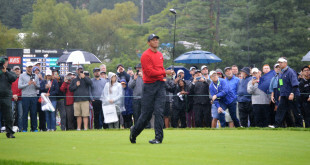 In addition to its airing on EPIX, U.S. hockey fans will be able to stream each episode of EPIX Presents Road To the NHL Outdoor Classics as a simulcast on EPIX.com and NHL.com. Produced by 54-time Emmy® award winner Ross Greenburg, narrated by Bill Camp (Jason Bourne, Birdman, 12 Years A Slave) and presented in partnership with NHL Original Productions, EPIX Presents Road To the NHL Outdoor Classics will provide viewers with a sports tech-driven, intimate look at these athletes in their professional and personal settings, capturing all the action, drama, heartaches and triumphs as they unfold. 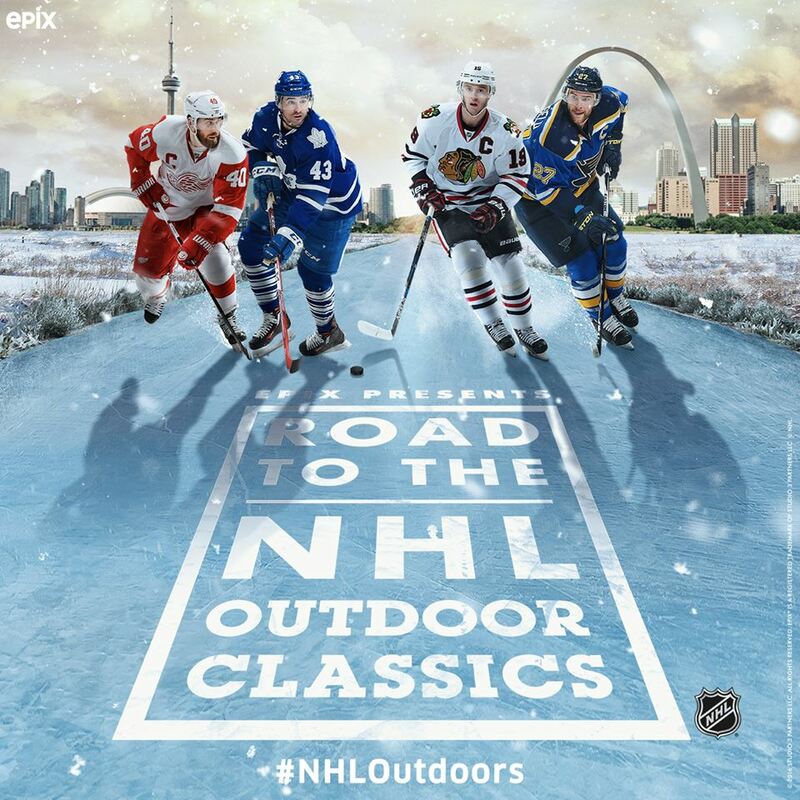 Join the conversation about #NHLOutdoors, #WinterClassic and #CentennialClassic on Twitter at @EpixHD and @NHL. EPIX Presents Road To the NHL Outdoor Classics is an EPIX Original series and presented in partnership with NHL Original Productions. Ross Greenburg is the executive producer; Steve Stern is the coordinating producer; Mike Greenburg, Peter Rogaris, Jonathan Fierro, and Eric Paulen are the producers; Aaron Cohen is the writer; Steve Lamme is the directory of photography; John Sands and Wayne Sharpe are the composers. Bill Camp is the narrator. Mark Greenberg, Jocelyn Diaz and Ross Bernard are the executive producers for EPIX, Jill Burkhart and Valerie Bishop Pearson are the producers for EPIX.